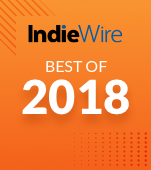 IndieWire's Senior Film Critic picks his 25 favorite movies of the year, and highlights the most memorable moment from each of them. 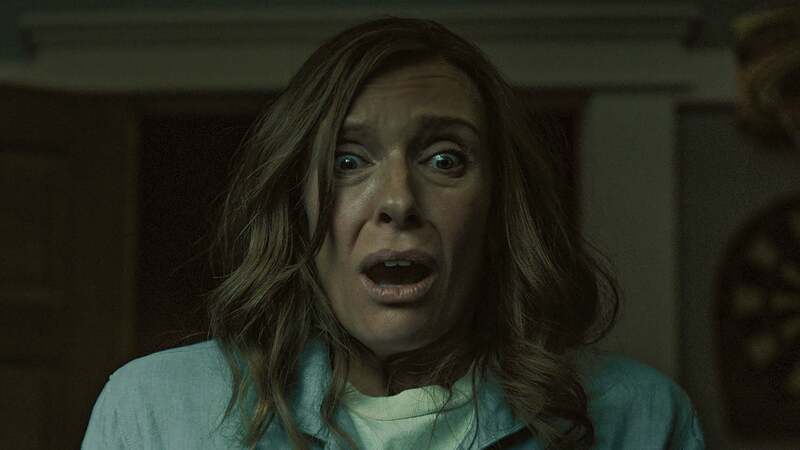 The movies of 2018 were almost as wild and volatile as everything else in 2018, and so it’s unsurprising that my list of the year’s best films should careen from futility (“Hereditary”) to empowerment (“Widows”), from untamed rage (“Burning”) to desperate love (“Shoplifters”), and from optimism (“Let the Sunshine In”) to despair (“First Reformed”). These are eclectic and unstable times — times when everything seems to exist on a harsh binary between one way of life or another, and your mood is only as positive as the latest news — and so while placing “Mission—Impossible: Fallout” next to “If Beale Street Could Talk” might have once seemed provocative, now it just makes a certain kind of sense. Once again, I’ve distilled each of my 25 favorite films of the year into a single memorable moment. And, as always, I’ve also edited those moments into a giant supercut that looks back at the year in cinema and counts down my personal highlights. In a tumultuous year, many of the best and most urgent new films ran with overt political messages (even “Paddington 2”), while just as many resonated because of their more abstract approaches to social ills and matters of identity (“Roma,” “Madeline’s Madeline”). In other arenas, the messengers were unexpected, and the messages were often self-conflicted. 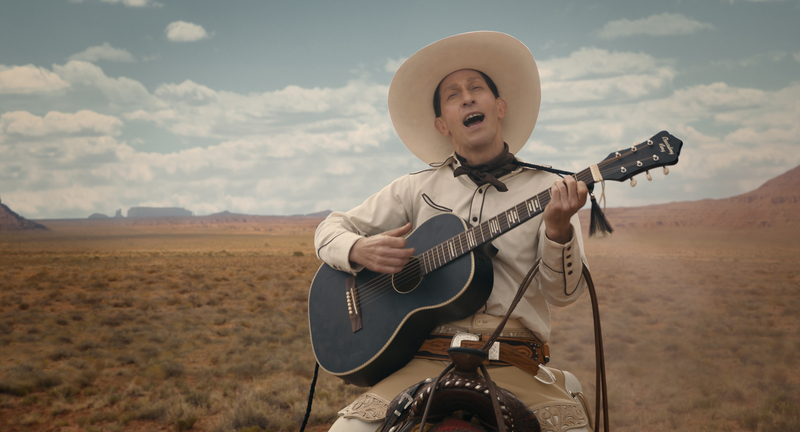 Some blockbusters felt vital and real, while some prestigious biopics felt glib and inauthentic. Netflix released many of the year’s most essential movies (here’s to Tamara Jenkins’ wonderful “Private Life” and Alice Rohrwacher’s “Happy as Lazzaro”), while also continuing to bury their assets and chip away at the bedrock of the film business. Disney consumed Fox and continued to eat the industry, but it also became a force for inclusion, and the engine behind a game-changing superhero movie that’s good enough to get nominated for Best Picture. There’s no doubt that these movies speak to one another, but they need us to translate for them. 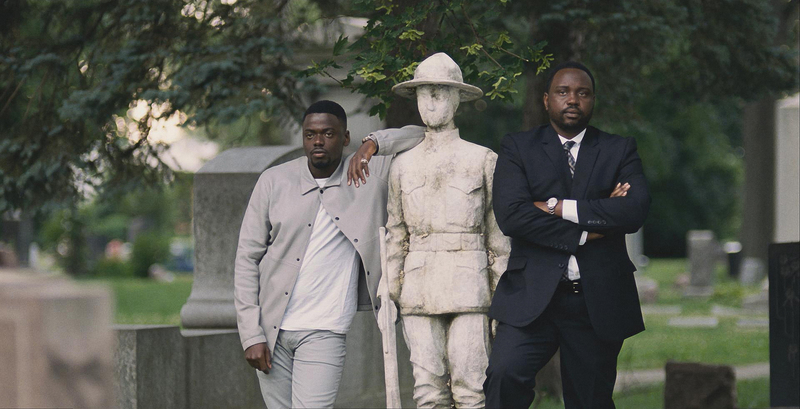 At this point, the most powerful thing the cinema can accomplish is to give us the permission to do that — the desire to listen, the willingness to learn, and the confidence to believe that we belong in the mix. As the 13-year-old heroine of Bo Burnham’s “Eighth Grade” might say, today’s lesson is about being yourself. Memorable Moment: “Shallow.” Obviously. But also the tears welling up in Sam Elliott’s eyes as he looks over his right shoulder to back out of Jackson Maine’s driveway. 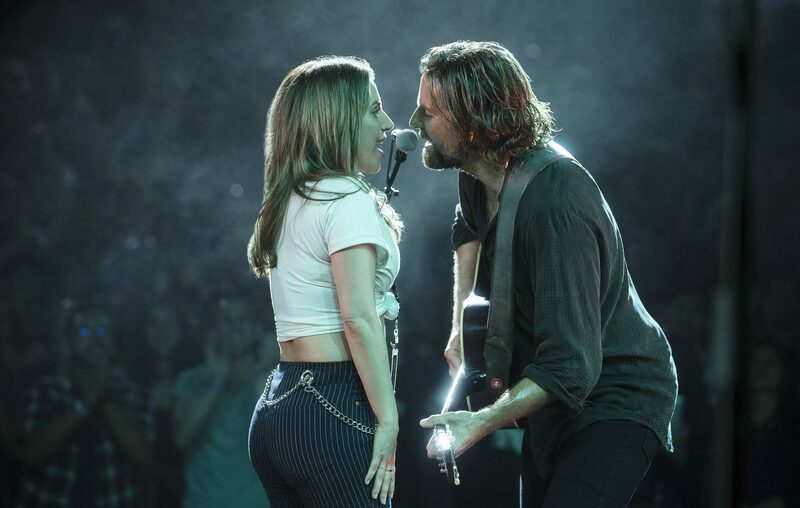 It’s a brilliant bit of acting that results from a subtle and inspired directorial choice — the kind that makes me think Bradley Cooper has a lot more to say with the 12 notes at his disposal. 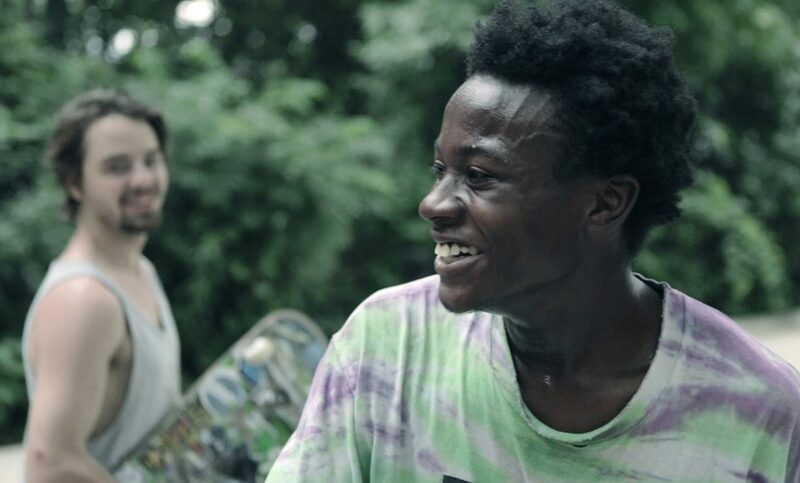 Memorable Moment: While it’s far and away the best of the year’s three skateboarding films (though “Skate Kitchen” certainly has its charms), it’s painfully reductive to think of Bing Liu’s “Minding the Gap” in those terms. For Liu, who captures the sport as beautifully as anyone ever has, skateboarding is a means to an end, and his documentary — filmed over the course of a decade or so — articulates all the ways in which that’s always been true for he and his two closest friends. For one thing, it got them out of their houses, and away from the rotating cast of absent or abusive men who tended to roost in them. Liu’s face might be hidden behind the camera, but you can feel his pained expression when he discovers that one of his buddies might have become a product of his environment. Memorable Moment: The perpetually unattached Isabelle (Juliette Binoche) stands in the middle of an empty dance floor as Etta James’ “At Last” begins to play. Giving in to the music, and to the hope that it might take her somewhere, Isabelle begins to sway. That’s when a man spies her from the corner of the room — his eyes drifting from her breasts to her ring-less fingers — and then moving in for the kill. Claire Denis, already responsible for the best musical interlude of the 21st century, whips up some fine competition for herself with a scene that ranges from the salacious to the sublime in the span of a single twirl. Memorable Moment: Honestly, every time Joanna Kulig burst into tragic song. “Ojojoj” indeed. Memorable Moment: It’s a quintessential Coen brothers moment if ever there was one. As a row of terrified lawbreakers wait to be hanged in a wild west town some 150 years ago, one of them (James Franco) turns to another and asks with a smirk: “First time?” But though the sarcastic bandit only has a few seconds left on this mortal coil, that’s still long enough for life to teach him a thing or two about all the hope and beauty he’s about to leave behind. 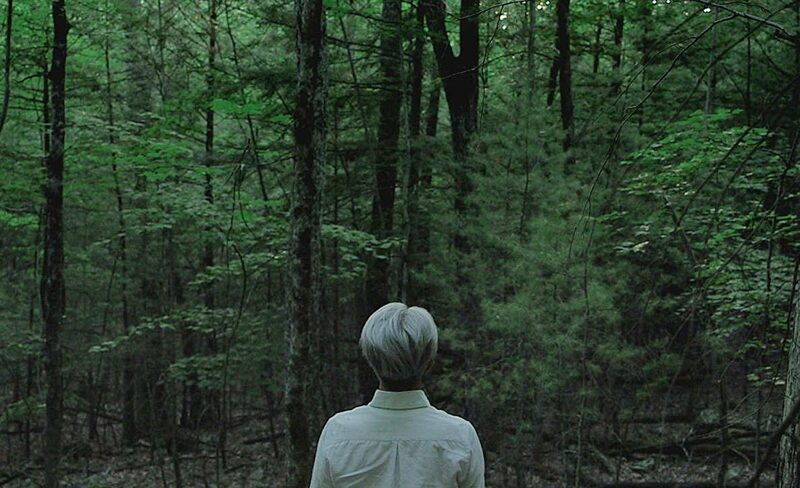 Memorable Moment: A cathartic meal at an upstate New York diner takes a sudden, violent turn (if only for a moment) in a staccato character study that felt like the negative image of a Liam Neeson action vehicle — like Lynne Ramsay had cobbled it together from all of the footage another film about a hitman and a little girl might have left on the cutting room floor. 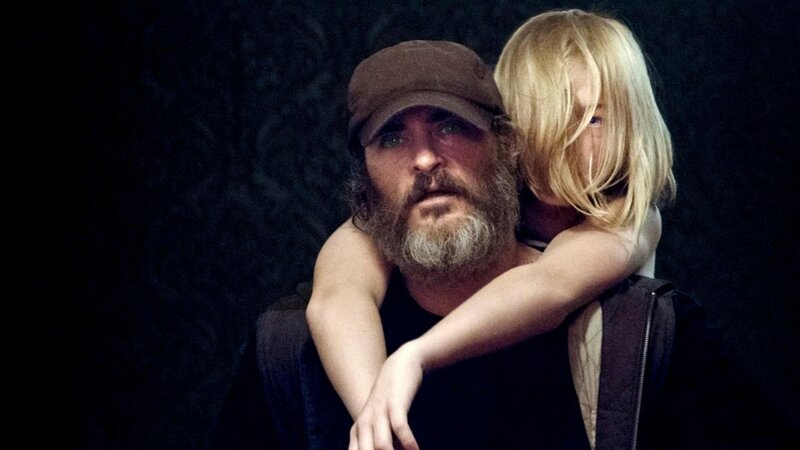 By the end of “You Were Never Really Here,” you finally understand the storm inside of its hero’s tortured soul, and root for him to stop fighting the wind — not to give up, but to let go. Watching the composer so clearly see himself in his music, and in the tools required to play it, is a profoundly moving expression of an artist trying to make sense of the world. You’ll never listen to the score for “The Revenant” the same way. 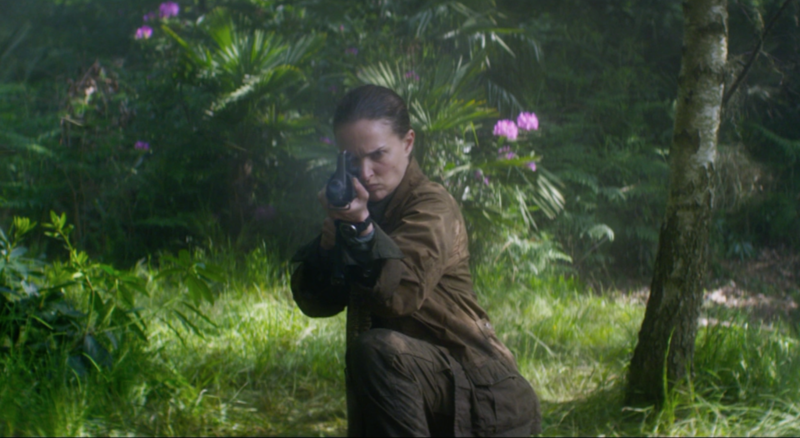 Memorable Moment: Lena (Natalie Portman) reaches the heart of the Shimmer in search of answers about the alien force that transformed her husband. What she finds at the end of the world is something far more familiar than she ever could have imagined, and so naturally she decides to dance with it. The sequence — which I’m sorry to have spoiled during the intro of my video — is an indelible expression of becoming, and the logical conclusion of an interconnected planet. More than that, it’s also straight up the weirdest thing that’s happened in a studio movie in a very long time. Memorable Moment: It’s actually two moments that rhyme with each other, but I’m a bit nervous that Netflix viewers will miss the resonance that’s created between the first and last shots of Alfonso Cuarón’s hyper-cinematic ode to his childhood nanny. In short: Don’t skip the credits! 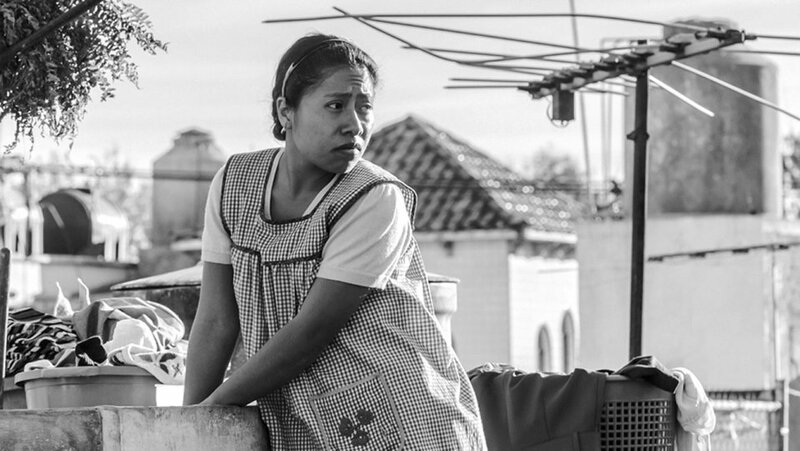 “Roma” ends in the same spot that it begins, but Cleo (Yalitza Aparicio) — the indigenous, live-in housekeeper for an upper-middle-class Mexican family in the early 1970s — goes on a remarkable journey towards her own self-worth and what’s possible for her life. The two shots also trace the trajectory of Cuarón’s career, as the opening image reflects an idea he tried in his 1991 debut (“Sólo con Tu Pareja”), and the last promises to take him somewhere new. Memorable Moment: Bo Burnham’s uncomfortably brilliant and true portrait of life in junior high school isn’t short on memorable moments, even if most of them happen to be of the scarring variety (the less said about that scene on the way home from the mall, the better). But nothing has lodged in my memory quite like the big, full-hearted pep talk that Kayla’s dad (Josh Hamilton) gives his daughter towards the end of the movie. It’s not what he says, or even how Elsie Fisher responds to it, so much as it’s the flabbergasted look on Hamilton’s face when he sees that his only child doesn’t comprehend how insanely proud he is to be her father. The astonishment he expresses in that moment tells everyone — viewers and Kayla, alike — all that we’ll ever need to know. Memorable Moment: A radical new take on Dario Argento’s horror classic, Luca Guadagnino’s “Suspiria” is a coldly violent seance for the evils of the 20th century, none of which are quite as dead as we might once have hoped. Billed as a remake, this “Suspiria” relates to the original as more of an estranged sibling — the fraternal twin sister who recognized herself as the black sheep of an already twisted family, ran away from home to become a fascist, and has dressed in gray every day since then. Only by drawing some blood can you tell the two are even related. But Argento’s DNA is deep in there throughout, most notably in the indelible dance sequence where Susie (Dakota Johnson) possesses the body of another woman (in another room), twisting the victim’s bones out of place with every movement. It’s a brilliant and visceral feat of cross-cutting that makes it possible to feel the skeletons in Germany’s closet begin to stir. Memorable Moment: Ari Aster’s astounding debut provided the single most fun moment that I had in a theater this year: Seeing “Hereditary” for the second time in a packed theater, and listening as the people around me each noticed one specific detail at their own speed (you probably know what I’m talking about, but I’ll give you a hint: It’s up and to the left). The erratic chorus of horrified gasps was music to my ears. Memorable Moment: Horatio officially becomes the Fastest Duck in the City. Memorable Moment: Even with a Best Picture to his credit, Steve McQueen is still defined by the prestigious Turner Prize he won before embarking on a feature film career; no matter how commercial his work might appear, it will always be burdened with the expectations of someone whose name has been associated with the likes of Damien Hirst and Richard Wright. And yet, when McQueen teamed up with “Gone Girl” writer Gillian Flynn to remake a 1983 ITV series into a splashy heist thriller, the news felt like a typo; how would a major artist like McQueen fit himself into a genre that was defined by its pulpiness and popularity? Well, McQueen offered all sorts of answers to that question, but none of them were more obvious or striking than the scene in which corrupt politician Jack Mulligan (Colin Farrell) is driven from a rundown Chicago neighborhood to his own ritzy digs in the span of a single shot, the camera mounted to the windshield of his car as the vehicle moves between two worlds in a matter of seconds.